These new Halloween creative writing prompts are so simple, but lots of fun! 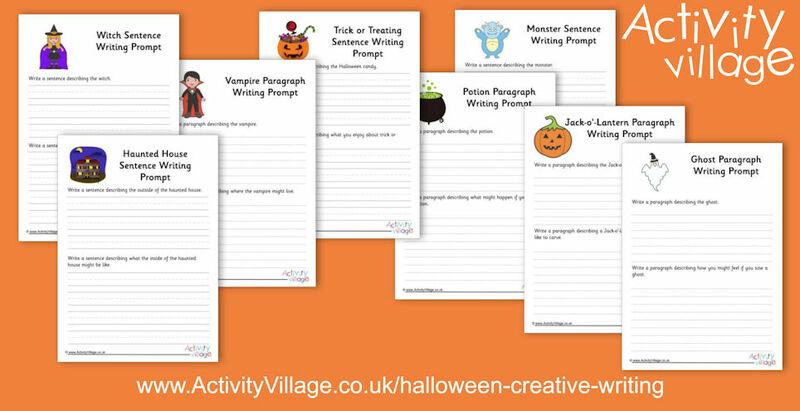 We've come up with 8 typical Halloween "themes" and created two worksheets for each: the first asks younger children to write 2 sentences (with handwriting lines) and the second asks for 2 paragraphs. Fun!